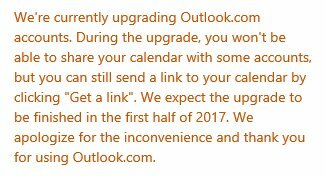 The long awaited Outlook.com update from Microsoft is delayed to next year, according to Arstechnica. But not really, says an Techradar / Register quote. The big update to Outlook.com has been in beta for roughly 9 months now. Now at first, the update was expected to be completed within a few months after the announcement. An opt-in rollout was announced in the same article from May this year. The above error however, was misunderstood according to Microsoft. Other announced features included expanded Calendar functionality, a new mobile web experience as well as Outlook Uservoice for requests. 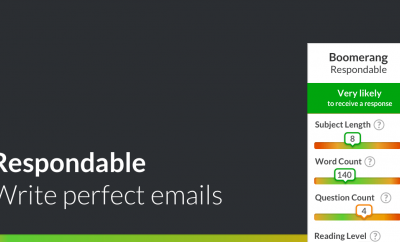 For email developers, the above user request and feedback feature has come along in the form of a Litmus Microsoft partnership to improve Outlook. Don’t forget, Outlook.com (still called Hotmail by some) is one of the largest webmail providers in the world. It has over half a billion users, so even if things were running smoothly on the rollout, it would take some time. And sure, some people are inbox zero fans and handle and delete their email very diligently. But I’m sure there are people out there who have a) used their Hotmail / Outlook.com inbox for many years and b) have upwards of 5000 unread emails. Including big attachements, inbox sizes can balloon quite quickly. This means migration of such email accounts on Outlook.com would take a bit longer. Good luck Microsoft engineers with the rest of the rollout. I haven’t seen the new version yet: let us know in the comments whether you have and how the experience has been so far.